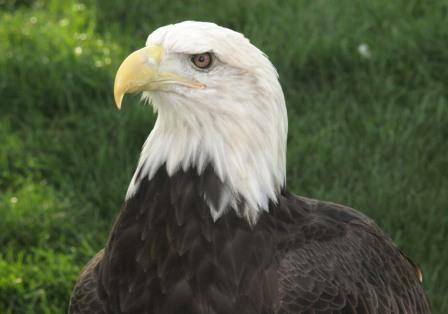 The Raptor Center has a long tradition of leadership in conservation research and education. Three recent articles in regional newspapers are indicative of our continuing work to offer information about the connections of spent lead ammunition in deer carcasses and gutpiles and the connections of lead poisoning in bald eagles. Our message is to educate that non-lead alternatives are available, and personal choice in ammunition selection will make a difference for the health and survival of countless bald eagles this fall. We would like to offer these weblinks to recent articles in St Paul Pioneer Press, Duluth News Tribune and Grand Forks Herald about this topic.